One of the kittens from Arkesini, who came to us during our sterilization program, was in such bad shape that we kept him at our center in hopes of helping him regain his health. 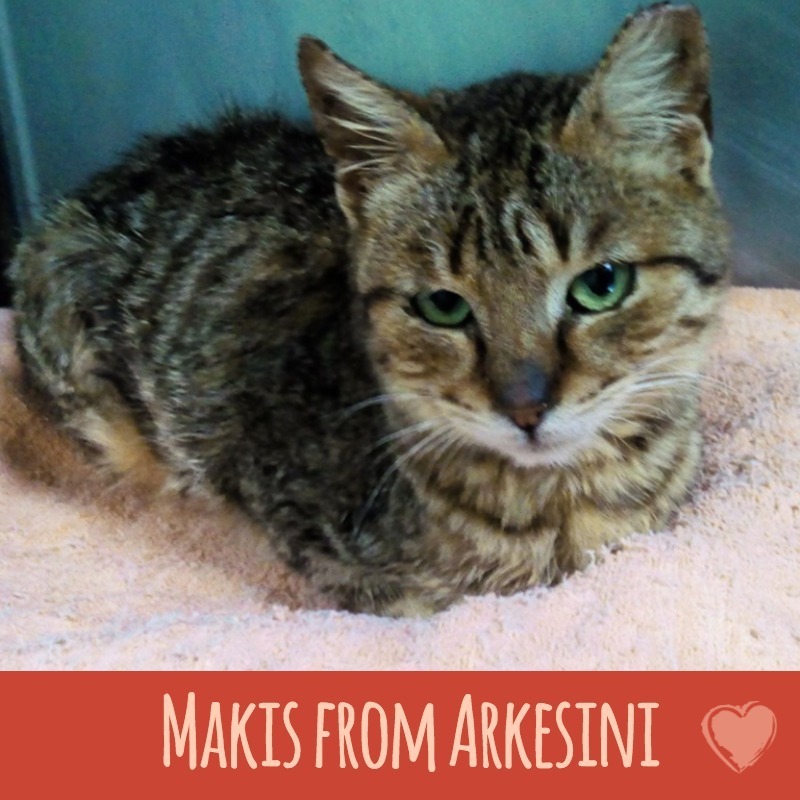 After two weeks of medication and proper nutrition, Makis has gained weight, was neutered and is now ready to go back to his home neighborhood. Unfortunately, the situation in the area of Arkesini, as well as the entire region of Kato Meria, is not good. The stray cats there are starving and we have heard of many poisonings. We wish to bring stability to this area but we can't do it without your help. Please donate and join our efforts to create a better life for the stray cats and kittens of Amorgos. No amount is too small. Please give today! 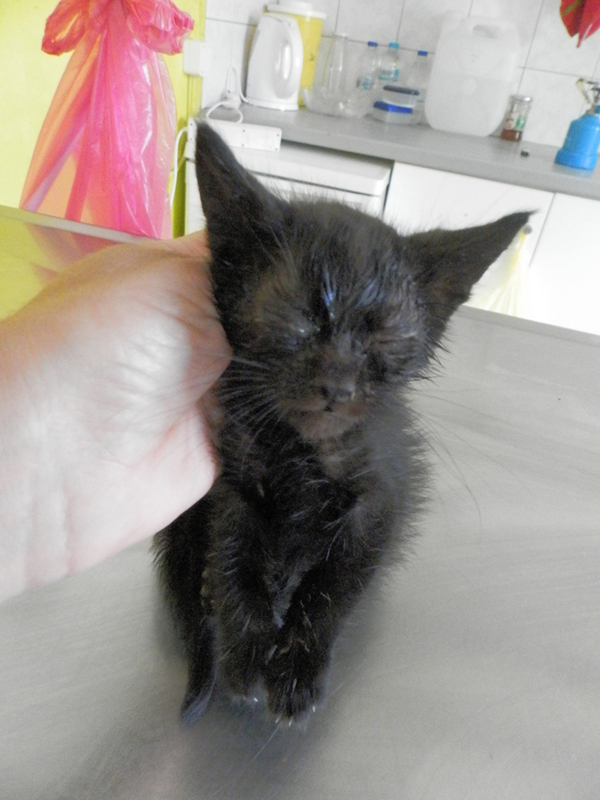 Aphrodite arrived at our Center a few weeks ago, looking very unwell. She had serious infections in both her eyes as well as a respiratory infection. She had no appetite and was just skin and bones. Now after a few weeks in our care, with proper nutrition and medical treatment, she has fully recovered and will so be able to return to her normal life. Doesn't she look gorgeous now? Last May, two kittens were found left alone in a chicken coop and brought to our Center where they received health-restoring treatments. The Filozoiki's secretary Anna Maria brought the kittens home to live with her and her daughter Melina. Melina fell madly in love with the kittens and named them Ermis and Dias. She sleeps with them, cares for them, and even sews clothes for them. What a thrill to know that Ermis and Dias have found love and joy in a safe and caring home. We wish them all a long and happy life together. And a Happy Valentine's Day to all! A short video featuring a few of AZI's cats and their amazing transformations. Many conditions of these cats are typical of the cases that we see (eye infections, injuries, etc.). Part of AZI's mission is to prevent these common diseases with vaccinations and anti-parasitic treatments; a very simple method to create a much healthier environment for all to live. Please consider helping us to pay for the treatments and making a donation. Best of all these kittens grow up to be wonderful feline companions—perhaps you would consider adopting one, even if virtually! Until recently, it was not common practice for families of Amorgos to adopt animals from local welfare associations, but, in the last few months we have been thrilled to find that four of our animals from the Center have found loving homes. Today, a small kitten only four months old has been adopted by a local couple who had lost their own cat, Melenia. Mr. Kostas Sigalas came to us hoping to adopt a kitten as a gift for his wife, Despoina, who was grieving over the loss of her beloved cat. Mr. Siglas chose little Lily, who, amazingly, looks much like their own Melenia. Today, with tears in her eyes, Mrs. Despoina welcomed little Lily into her home and, because she spends many hours alone, Lily will be great company for this kind lady. A loving relationship has begun and we wish many many long years of happiness together for the Despoinas and their new family member. Esthel came to our Center in June of 2015 when she was only three weeks old. 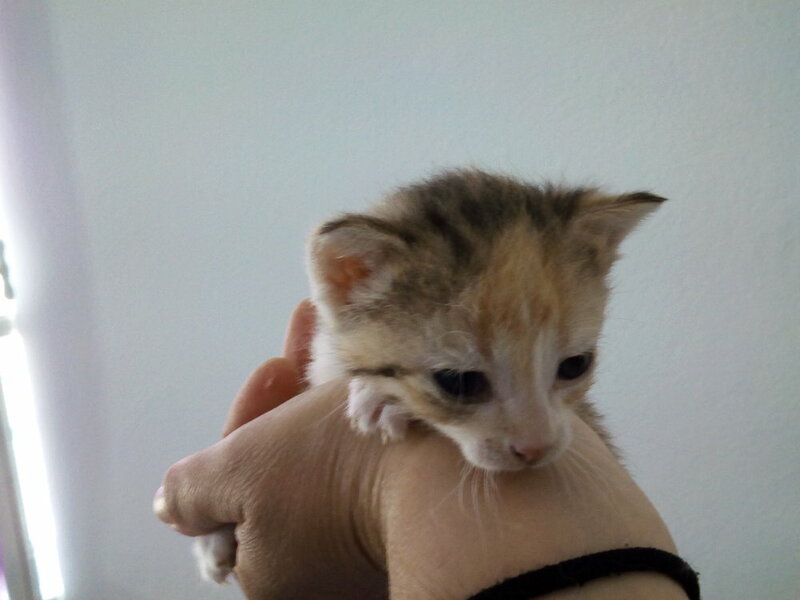 The kitten was discovered by one of our most active volunteers when she was spending a few days on the nearby island of Kouronisi. Our volunteer heard a kitten crying with no mother in sight and after waiting to see if the mother would return, the kitten was brought by boat to Amorgos where we received her at our Center and began to feed her by hand. After three months Esthel was adopted by a wonderful woman from Switzerland. Her name is now Nemesis and she has grown into a happy and beautiful adult cat with a loving home and a bright future. Happy in her new home!